BERLIN -- Volkswagen posted higher quarterly profit on a strengthening European autos recovery and cost cuts but lowered its global sales forecast amid a slowdown in China and challenging markets in Russia and South America. Full-year deliveries may be flat on last year's record 10.1 million sales, VW said, after previously guiding for a "moderate" increase. "We are keeping a very close watch on global macroeconomic trends, especially where there are uncertainties such as in the Chinese, Brazilian and Russian markets,” VW CEO Winterkorn said in a statement. VW today said its second-quarter operating profit increased 4.9 percent to 3.49 billion euros ($3.85 billion) from 3.33 billion euros a year earlier. The operating return on sales declined to 6.2 percent from 6.5 percent. VW stuck to its outlook for profit and revenue, saying operating margin may be 5.5 percent to 6.5 percent for the full year, after 6.3 percent last year. 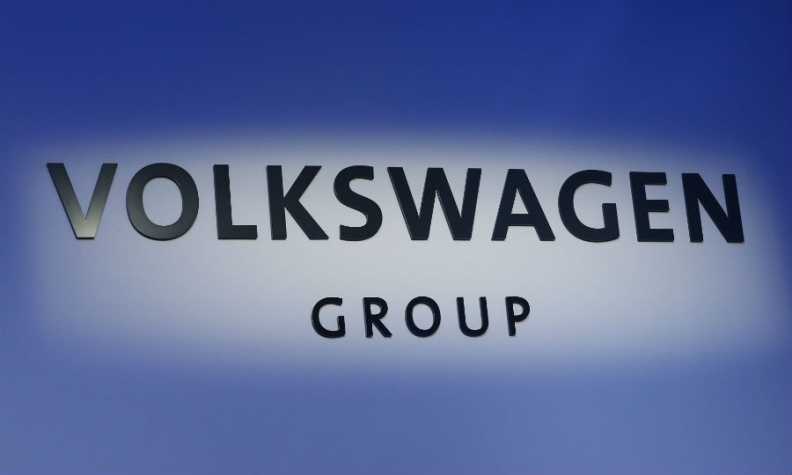 Annual revenue may rise as much as 4 percent from 202.5 billion euros in 2014, VW said. Its second-quarter revenue rose by a bigger-than-expected 10 percent to 56 billion euros, benefiting from a weaker euro and other seasonal tailwinds. Six-month vehicle sales fell 0.5 percent to 5.04 million, reflecting an accelerating decline in China though that was just enough to overtake Toyota as the world's largest carmaker. "The difficult market environment and fierce competition, as well as interest rate and exchange rate volatility and fluctuations in raw materials prices all pose challenges," VW finance chief Hans Dieter Poetsch said. VW’s luxury brands remained the group’s key earnings contributors in the first half. Audi’s operating profit rose 7.4 percent to 2.9 billion euros, and Porsche’s profit jumped 21 percent to 1.7 billion euros, driven by the new Macan compact sport utility vehicle. The two brands accounted for more than two-thirds of VW’s earnings in the first six months of the year. The namesake VW brand improved its first-half profit margin to 2.7 percent of sales from 2.1 percent, helped by positive effects from the unit’s efficiency program. Still, that remains a long way off a target of more than 6 percent of sales by 2018. VW's second set of upbeat quarterly earnings since a leadership wrangle in April forced the ouster of patriarch Ferdinand Piech contrasts with a power vacuum at the top of the group which is looking for a new chairman and revamping the company's structure. VW’s rigid structure has made it slow to adapt to trends such as the advent of SUVs. Winterkorn has said he will present his plan for more efficient management by the end of September.